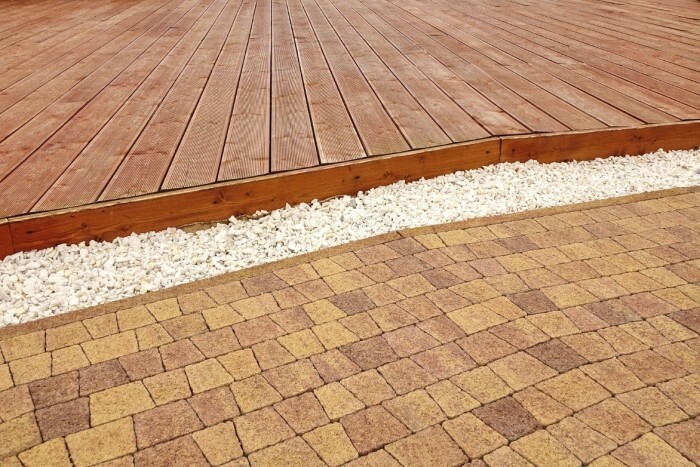 Even though composite decking is extremely durable, it still needs some regular maintenance. Those who completely ignore their decks might find themselves dealing with issues such as cracked panels and sagging planks. Here is a quick look at five easy tips that will keep your deck looking great no matter what type of climate you live in. Most of the leading composite deck brands come with a warranty, but you might void that warranty if you don’t clean off oil and food debris within a certain period of time. As a general rule, food scraps shouldn’t be left on the deck for more than a few hours. A household degreasing agent such as dishwashing detergent will remove smaller stains. Homeowners who live in colder climates should never use sharp shovels to scoop snow off of their decks. The edges of a shovel will gouge into the composite decking and cause permanent damage. Calcium chloride can remove ice and snow, and it shouldn’t damage your deck as long as it is eventually swept away. A pressure washer is an excellent investment for anyone who has a deck, but you might need to lower the settings on your washer before using it on composite materials. You should never use a fan tip that has more than 1300 PSI, and the nozzle should be almost a foot away from the deck. Even though many decking products such as TimberTech are designed to resist mold and mildew, you should still try to clean natural debris off as quickly as possible. When leaves or pollen sit on your deck for a long period of time, it will become a breeding ground for bacteria. Cleaning the deck with mild soap and a soft brush should get rid of most natural debris. Your deck should be thoroughly cleaned a few times a year, and you might want to apply a deck brightener to the surface immediately after cleaning it. Products that contain oxalic acid should remove most stains while protecting the composite material. Adding a composite deck to your home can be a major investment, that’s why all homeowners should know how to properly care for these additions throughout the year.